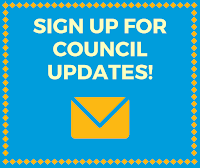 Council Members continued their discussion on priorities and added "civic engagement" to the eight that had been approved at the last meeting. Civic engagement as a priority will combine several similar items that had been on the Council's original list. After confirming the nine priorities for 2016, several of the priorities were discussed and then assigned to committees or staff for further research and recommendations. The remaining priorities will be reviewed at the March 1 Work Meeting. Created an ad hoc housing committee with Kay Van Buren as Chair and Kim Santiago and Dave Knecht as members. The committee will meet and return to the March 1 Work Meeting for approval of their mission statement. Discussed a proposal to remove timing restrictions from General Plan Amendment requests. This was sent to the Development Approval Process Committee and will move next to the Planning Commission. Heard a presentation on the appropriation request from the Economic Development Department to fund various initiatives within the department. This will be formally heard at the March 1 Council Meeting. Heard a presentation on the power plant property lease agreement between Provo City and the Utah Municipal Power Authority (UMPA). This will be formally heard at the March 1 Council Meeting. Bill Graff, Joaquin Neighborhood Chair, spoke about the plan the neighborhood has for the future. Joaquin is the home of 10% of Provo's population and their goal is to have a livable community for all - drivers, bicyclists, and pedestrians. Located between BYU and the downtown area, Joaquin was the first neighborhood to have a Master Plan approved by the City and they are anxious to see the vision of that plan happen. The Provo 360 project involved representatives from most Provo City departments in an effort to find an ERP (enterprise resource planning) type of software that could be implemented citywide. 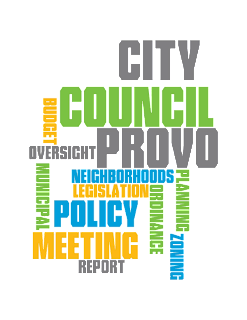 Current Provo City systems have become antiquated, lack integration, and have problems with data access and transparency. The Provo 360 team assessed the City's needs, met with vendors, and chose a solution that will be more cost effective than simply making repairs to a very broken system. Implementation will happen in several phases over a three-year period. Once completed, Provo citizens and City departments will have access to great real-time information. Heard a presentation from the Covey Center on their upcoming show, "The Andrews Brothers"